The Indian Space Research Organization has plenty of reasons to celebrate today – 104 reasons, to be precise. That’s how many satellites it launched into space with its PSLV rocket – more than any other launch vehicle on the planet, ever. Prior to this mission, the Polar Satellite Launch Vehicle has placed 122 satellites in orbit over the past 23 years. Its largest previous payload included 20 satellites back in June 2016. This time around, the PSLV took off from the Satish Dhawan Space Centre in Sriharikota, India. Its payload included 88 satellites, called Doves, from US firm Planet; they’re designed for capturing high-resolution images of Earth. The company says that, together with the 50 Doves that are already orbiting the globe, the newly launched probes now make up the largest fleet of satellites in human history. 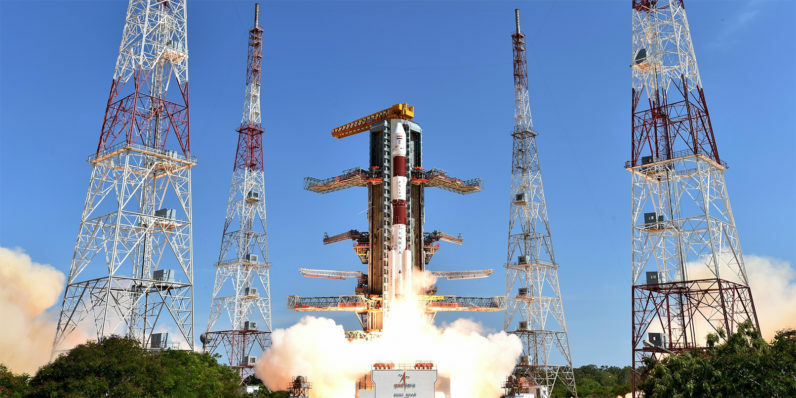 Among the other satellites on the PSLV’s payload were India’s Cartosat-2 series satellite, which is capable of high-resolution imaging and aimed at Pakistan and China. With that, ISRO has snatched the crown from Russia’s space agency, known as the Roscosmos State Corporation. It set the record for most satellites launched in June 2014, when its Dnepr rocket carried a cluster of 37 satellites into orbit. The PSLV will be pressed into action once again in December, when it’s scheduled to carry moon landers from Indian firm Team Indus and Japan’s Hakuto as they compete for Google’s $20 million Lunar XPrize. The challenge is to successfully soft-land a rover on the moon, have it traverse across 500 meters on the moon’s surface and transmit high-definition photos and video back to Earth.